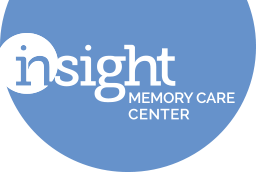 IMCC’s adult day health center provides a safe, engaging, and therapeutic environment for people with memory impairment in mid to late stages. It is the only dementia-specific day center in the DC metro area and still the only adult day health center in Northern Virginia with programs for people in the later stages of an Alzheimer's illness. - And a warm and loving environment with friends! The Day Program provides an environment that focuses on people’s strengths rather than their memory limitations, addressing the needs of the total person: physical, mental, and emotional. Recreational Therapy activities are designed to restore motor, social and cognitive functioning, build confidence, develop coping skills, and integrate skills learned in treatment settings into community settings. We are happy to give you a tour of the center, anytime during our regular business hours. We also hold regular New Family Orientations to cover the basics of our day center care. Contact us to set up a tour; upcoming family events are listed below! We charge a flat monthly fee based on the number of days per week attended and the level of care (Blue, Orange, or Coral Group). Currently, our fees range from $1,285 to $3,100 per month. For those who have difficulty meeting the cost of care, the Board has established the Financial Assistance Fund with the goal that no one is turned away for lack of funds to pay for services. Please contact us for more information, and a scholarship application.